When a manufacturing or distribution company selects a new location for a facility, which factors are most important? Should the manufacturer listen to the recommendations of HR representatives and utility consultants or the construction controllers and local economic development officials? Opinions are infinite, but meaningful insights can be few and far between. Too often, companies jump at what sounds easiest—“shovel-ready” sites that seemingly pose minimal barriers to entry and early development advantages. 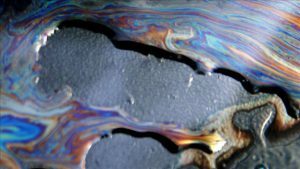 While primed utilities and preapproved infrastructure assessments may seem convenient, a site’s long-term viability should really drive the site selection process. When it comes down to it, companies that want to remain competitive long-term need a location that allows them to move product efficiently while minimizing overall operating and transportation costs. What they sometimes need is a site served by rail. In today’s logistics climate, trucking freight costs across the country are sky-high, the U.S. is facing a serious truck driver shortage, and new legal restrictions have limited the standard hours of service drivers can operate. However, these barriers come at a time of strong industrial output and high consumer spending nationally, meaning it’s critical that occupiers find practical and affordable alternatives for transporting their inventory. Railroads offer an alternative. In the first nine months of 2018, U.S. rail carload volume increased by 2%, according to the Association of American Railroads (AAR), following a consistent year-over-year trend in rising demand for rail freight. In comparison to 2017, this growth has meant nearly 200,000 additional carloads of material being distributed via rail across the country. In addition, U.S. intermodal set records in September 2018, with volume registering as the top two weeks for intermodal volume in U.S. history. The reason? A single railcar can haul the equivalent of 4.5 full truckloads of freight. 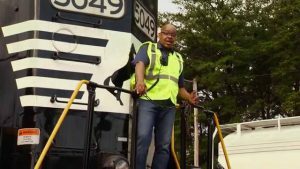 When your average train is comprised of 100 railcars, a manufacturer can move the equivalent of 450 truckloads of freight with a train crew of one or two, instead of covering the cost of 450 truck drivers. Every day, there are truckloads of freight that go unserved, and as a result, the demand for rail is understandably rising. 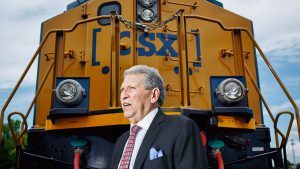 Manufacturers across the country clearly recognize the benefits of rail, and others should consider hopping on the locomotive as they plan for the future. For a manufacturer looking to incorporate rail into its distribution strategy, it would seem natural to prioritize Class I railroads, which move the largest amount of freight and focus on long-haul intercity traffic. 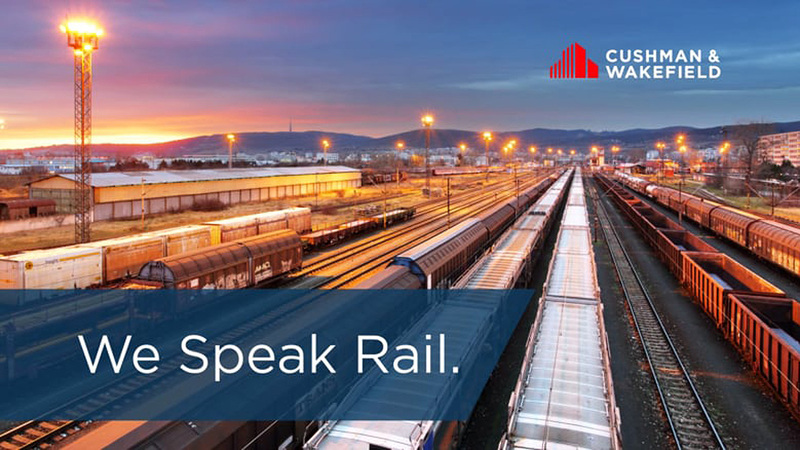 However, according to our rail advisory group at Cushman & Wakefield, companies must be shipping or receiving freight in carloads greater than 50 in order to get the attention of Class I networks. For companies who don’t require that level of traffic, but still want to compete with big rail freight users, it’s necessary to be positioned at either the intersection of two Class I railroads (also known as dual rail-served sites) or on a Class II (regional) or Class III (short line) railroad that has the right-of-way between two Class I networks. This model ultimately guarantees that the manufacturer will have a competitive long-term shipping environment over the life of a new facility. Dual rail-served sites provide a company with options. By having a location with two rail sources, the distributor is not a captive tenant and can determine which rail network will provide a better value. Competition is key if you want reasonable transportation costs. In addition, reliable Class II and III railroad networks have perhaps been the largest underdogs in the site selection process. These networks can equally supply the dual rail access companies should be looking for, and can be very cost-effective. The key is to locate on a Class II or III railroad that serves as a connection between two different Class I networks. Not only can a company then determine which Class I offers a better rate, it can also reap the benefits of having logistical support from a Class II or III rail partner. The rate per car, which is based on the commodity and the volume of cars being shipped, is negotiated with the Class II or III rail provider. When considered within the context of a unified logistics model, and a fully loaded run rate over the useful life of a manufacturing facility, these costs are typically reasonable, if not nominal, when viewed against the far more expensive trucking alternative. In addition, in our experience at Cushman & Wakefield, Class II and III operators go above and beyond when it comes to customer support. These operators regularly transition railcars between networks, arrange freight at the request of the company, and organize the input and output of freight at company facilities. Another Class I consideration is the ongoing shift in long-term accessibility to these networks. The Cushman & Wakefield Rail Advisory Group regularly receives inquiries from large manufacturers that are impacted by revamped rail models being employed by Class I rail carriers. 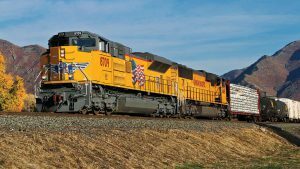 Class I railroads have begun to streamline their operations, especially on the East Coast, and this has altered the service options of secondary and tertiary portions of rail networks. While some of these lines are being sold to Class II or Class III rail companies, manufacturers in peripheral markets could face fees associated with switching cars mid-transit. Direct interactions with Class I railroads are becoming increasingly limited, and this trend reinforces the potential value of a location near a reliable Class II or III railroad or dual rail-served site. Finding the right location for a new facility is more important than ever, and the efficient and affordable distribution of inventory should be the driving factor during any site selection process. The gravitation toward shovel-ready sites or Class I railroads is understandable, but when it comes to rail, there is considerable value in alternatives that can position companies for success. Tracks provide an established infrastructure that a company can rely on for the foreseeable future; one that won’t have the same dramatic shifts in access we are experiencing with other modes of transportation. The business of finding the perfect rail-served site has evolved, and the benefits offered by Class II and III and dual rail-served sites are too great to ignore. As the railroad landscape continues to transform alongside consumer demand, long-haul trucking, and other economic drivers, it will be the companies willing to transform their site selection processes that will be best-positioned for long-term success. 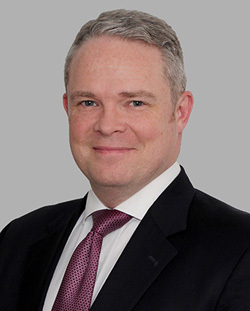 Michael Flynn is Director & Co-Lead at Cushman &Wakefield’s Rail Advisory Group. An accomplished real estate professional with more than 17 years of corporate real estate and commercial real estate experience, he has been involved with millions of square feet of real estate lease, sale, and sale-lease back transactions. Prior to joining Cushman & Wakefield, Flynn served in leadership roles at Time Inc. as the Real Estate Director, and Vice President in the Morgan Stanley Corporate Real Estate Department.